This book stands as the most authoritative collection of Gu Cheng's works and illustrations. This book stands as the most authoritative collection of Gu Cheng's works and illustrations. 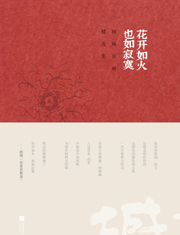 Composed by Gu Xiang, the elder sister of world-renowned Chinese poet Gu Cheng, the book collects 80 lyric poems as well as dozens of illustrations by Gu Cheng, and includes two essays on poetry.